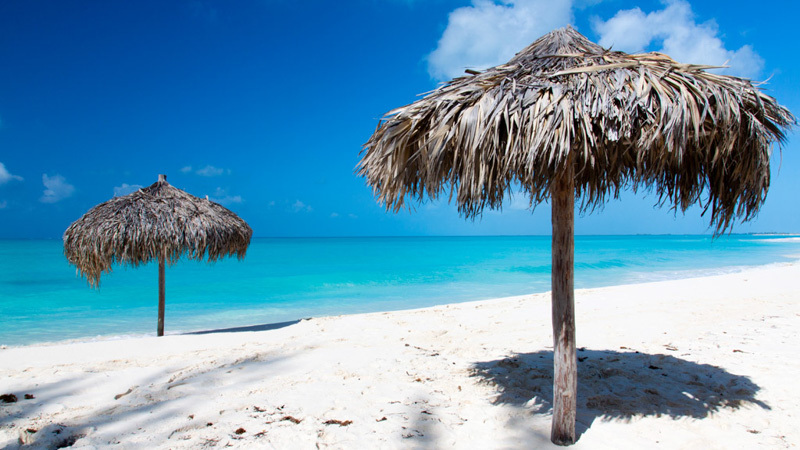 The 8 Best Beaches In Cuba - Time To Get Your Tan On! Time To Get Your Tan On! 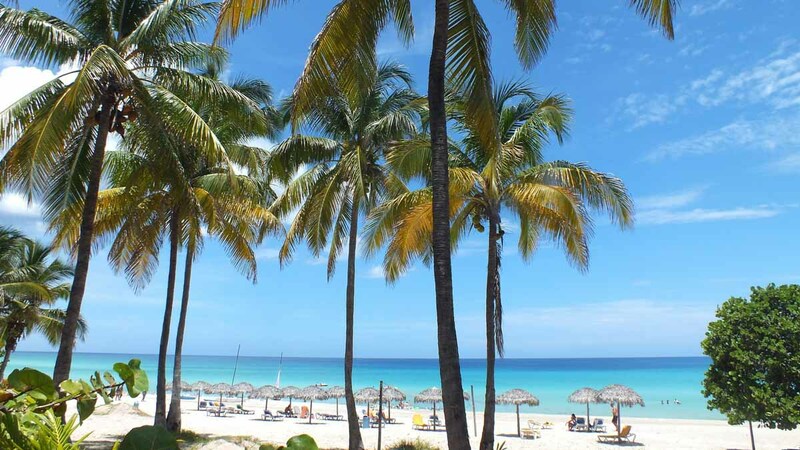 The 8 Best Beaches In Cuba – Time To Get Your Tan On! We’ve gone ahead and put the most backpacker-friendly and best beaches in Cuba into one lovely list. All you need to do is find your flip-flops and hit the sand! Let’s get one thing clear straight away – Cuba isn’t called the “pearl of the Caribbean” for nothing. Scattered all along the coast of this dreamy island, you find hundreds of white-sand beaches, turquoise water, and glorious Caribbean sun. Of these many beaches, there’s quite a few resorts in between. For an independent budget backpacker, that’s not exactly ideal. On the other hand, it would be a crime not to check out at least one beach while backpacking in Cuba. 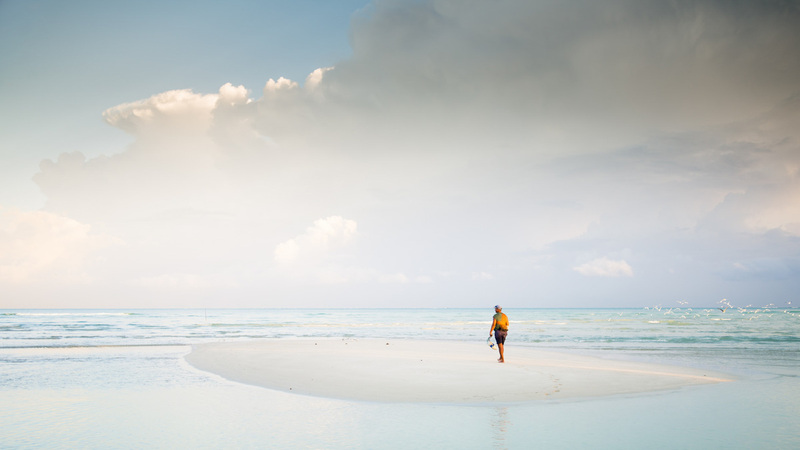 That’s why we’ve put together this little list of 8 backpacker-friendly Cuban beaches. We’re talking laid-back vibe, not a whole lot of tourists, and perhaps even a touch of authenticity (we all love that trigger word, don’t we?). So pack yourself a beach bag (don’t forget a bottle of local rum) and get ready to hit the 8 best beaches in Cuba! Ancón isn’t the most backpacker-friendly beach in Cuba. Yeah, we know, great way to start off the list. The thing is that, although Ancón definitely does attract a fair amount of tourists, it’s still got a sort-of-authentic feel to it. The natural surroundings haven’t been altered too much and you’ll see shrubs creeping down to the lapping waves here and there. As for the beach itself, it’s pretty sweet. 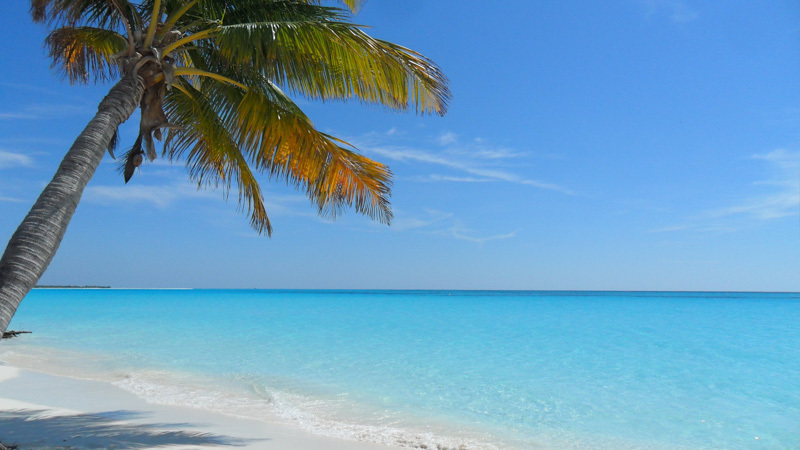 In fact, some even go as far as to call Ancón the best beach on Cuba’s southern coast. We don’t know about that, but it’s not a bad spot to kick back. Oh, and if you like a little action with your tanning session, the scuba diving and snorkelling in the area is also worth a go. At 40 minutes from Trinidad, Playa Ancón can be an easy day trip. If you want to hang around for a while, you can also get a room in a casa particular in the nearby villages of La Boca and Casilda. You know what? While we’re talking about not-so-backpacker-friendly beaches, let’s just get one more out of the way. Varadero is the epitome of a Caribbean resort town and pretty much as far from a laid-back vibe as you can get. This list just keeps getting better and better, right? But here’s the deal. 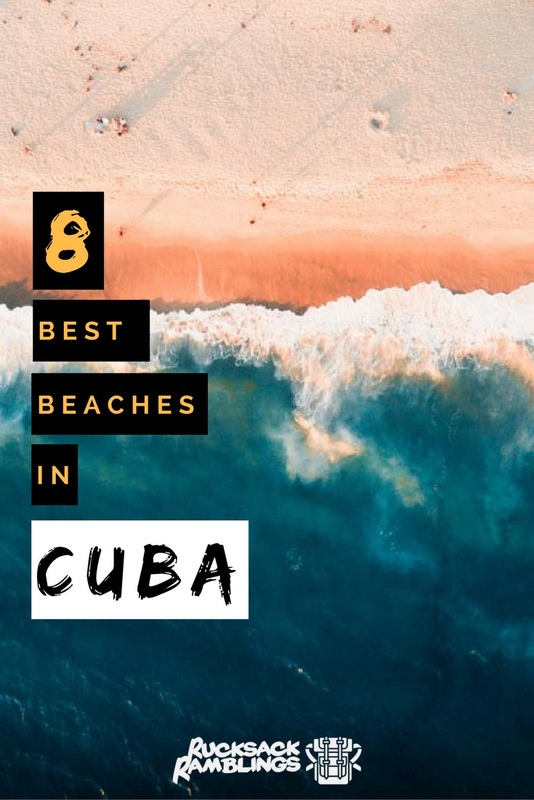 The reason we include Varadero is that, well, you can’t really have a list of the best beaches in Cuba without at least mentioning it. 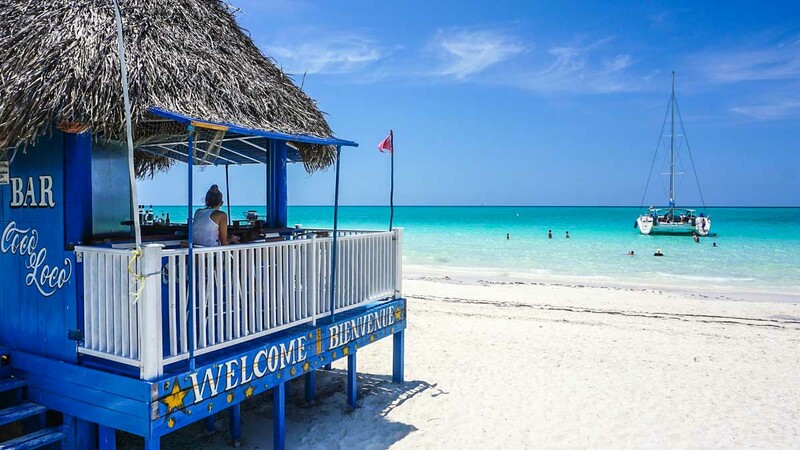 Varadero is one of the largest resort towns in the Caribbean and, if anything, it could give you a better understanding of Cuba’s booming all-inclusive industry. Take it as a cultural experience more than an authentic beach paradise. If you do end up going to Varadero, you’ll get the whole shebang. Fancy hotel room, nice pool, spotless beach, you name it. But be warned: with prices starting at $80 a night, Varadero will take a serious toll on your food budget. If you’re heading further east, Guardalavaca is another classic Cuban resort town. Alright, let’s move on to some of the good stuff now. Playa Los Flamencos is located in Cayo Coco which is – again – a bit of a resort hub. The area’s three main beaches are all lined with popular hotels, but that’s where Los Flamencos comes into the picture. Away from the busy beaches on the eastern end of the key, you find this charming and quiet corner. The stretch of beach is shorter than the main ones, but it’s got just the same beauty. In most places, the palm trees grow almost right next to the shore and the water is crystal-clear. There’s also an excellent snorkelling spot about 200 meters out with corrals and all sorts of relatives of good old Nemo swimming around. You find Playa Pilar in the Jardines del Rey archipelago on Cuba’s northern coast. More specifically, it’s located on the western point of the tiny Cayo Guillermo. To be honest, basically any beach in this key is a little slice of heaven. Our personal top pick is Pilar because of its pure and utter serenity. All you’ll hear is the swaying palm trees and the soothing sound of the lapping waves. On a good day, you’ll have the place entirely to yourself which is almost too good to be true. On a side note, the beach was actually named after Ernest Hemingway’s yacht Pilar. As it turns out, this was old mate Ernie’s favourite hideaway back in the day. There you go, fun fact of the day over and out. Even if your Spanish is a bit rusty, you probably get the general gist of the name. If Playa Pilar is a slice of heaven, Playa Paraíso is your own private paradise. It’s located on the west end of the teeny tiny Cayo Largo del Sur just off Cuba’s southern coast and oh man is it gorgeous. Although there are a few smaller resorts around, the vibe is still fairly laid-back and un-tacky. Apart from the resorts, there’s also only one little snack bar around, so things are kept fairly simple. They sell soft drinks, beers, and a few cocktails and snacks – enough to keep you alive for a day on the beach. Just a heads-up: the water in Paraíso is pretty shallow. You’ll have to hike a good 60-70 meters out before you can get some real splashing action going. If you’re alright with that, this is an excellent spot to work on your tan while sipping on a delicious mojito. And one more thing: don’t venture up to the northern end of Paraíso unless you’re willing to take off those budgy smugglers. Apparently, this area is quite popular among naturists. Don’t say we didn’t warn you. About 20 minutes up the road from Paraíso, you find the equally dreamy Playa Sirena. By the way, they really know how to name their beaches in this area (sirena means mermaid). The difference between Paraíso and this one is that Sirena is a bit more geared for tourists. It definitely has a more commercial feel to it but still without being too over the top. There’s a few bars around, a restaurant, a massage hut, and even some souvenir stalls. It’s not exactly authentic, but hey, it could be a lot worse. At Sirena, you also run the risk of running into day tours coming from mainland Cuba which would be a considerable bummer. With all that being said, Playa Sirena might just take the prize among the best beaches in Cuba. The water is exceptionally calm thanks to an offshore coral reef and the palm trees give plenty of shade so you don’t need to rent a beach umbrella. All in all, it’s a sweet spot to kick back and enjoy life. Next up is Cayo Levisa, a small island off the coast of Pinar del Río on the western tip of Cuba. The island itself is mostly made up of mangroves, but if you head up to the northern side, you’ll find a cool little beach. 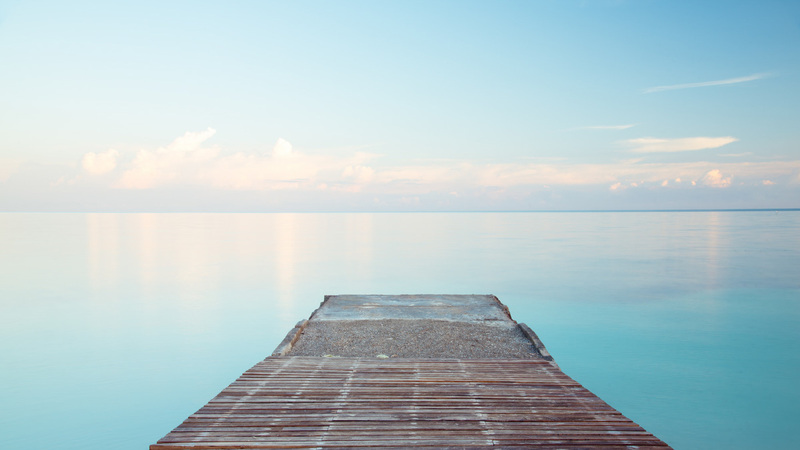 The only bad – but also potentially good – thing about Cayo Levisa is that it’s a bit of a journey to get there. You’ll have to catch a boat from Palma Rubia on the mainland. Unless you hire a private boat, there’s currently two daily departures and the boat ride is about 30 minutes. On the plus side, the island’s remoteness generally attracts more adventurous and slightly less all-inclusive-ish travellers. If you do make it out to Cayo Levisa, you can stay in one of the hotels for a night or two to make the journey worthwhile. There’s also an international diving centre on the island if you feel like an underwater adventure. If not, you can keep things simple and head out for a good old snorkel session. Last but not least, we have Bahía de Baracoa. If you suffer a blow to the head and suddenly get tired of perfect white-sand beaches, this is where you’ll want to hang out. 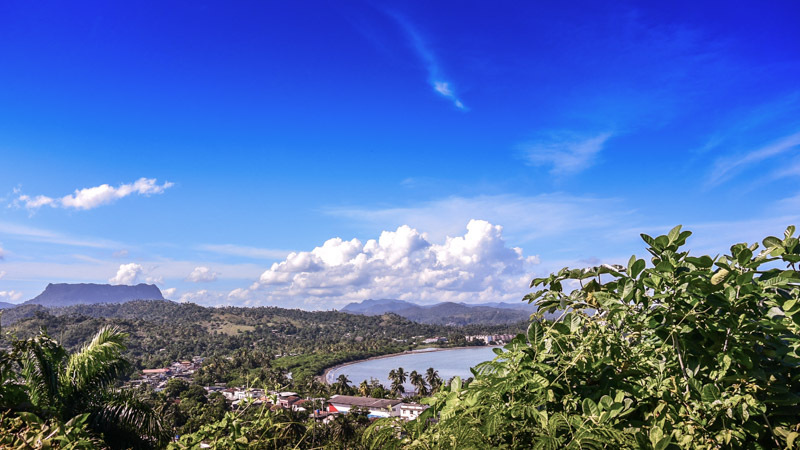 Just east of Santiago de Cuba on Cuba’s eastern tip, Baracoa is a gray-sand beach surrounded by turquoise water, lush green forest, and a tall mountain range. In case you’re wondering, the answer is yes, it’s exactly as stunning as it sounds. Baracoa is unlike most other beaches you’ll see in Cuba and it has a very distinct character. This is a spot that will stand out on your Cuba backpacking trip. Oh, and do yourself a favour while you’re there. Make sure you try a cucurucho which is a local snack made of palm leaf and filled with coconut, honey, and banana goodness. Like It? Inspired? Pin It For Later! There you go, amigos – you are now ready to hit the best beaches in Cuba. All that’s left to do is smack on some flip-flops, find yourself a good book, and get working on that Caribbean tan! What do you think of Cuba’s beaches? 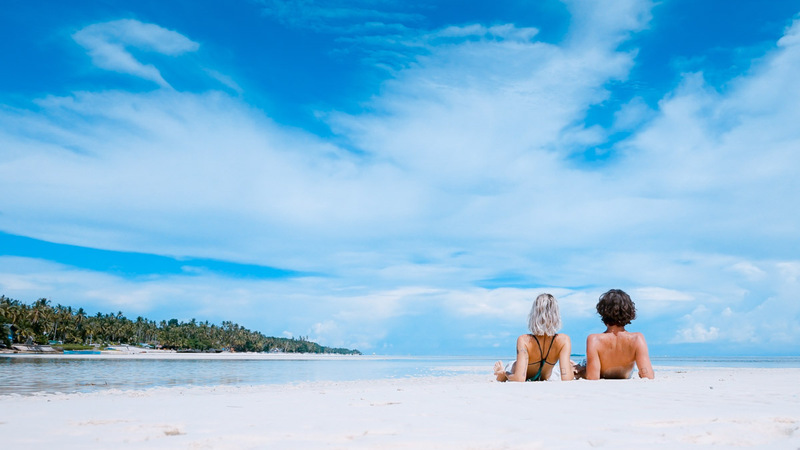 Do you know other backpacker-friendly beaches we should mention here? Or do you just want to say hola? Drop us a line – we love making new friends! There are affiliate links in this article. This means that we get a small commission from the company if you buy their product at no extra cost to you. We only use affiliate links for companies/products we have personally used. Just think of it as if you were buying us a beer to thank us for the work we’ve put into this post. All images in this lovely little post are sourced from Hostelworld. We base our reviews on our personal experiences and/or reviews online.